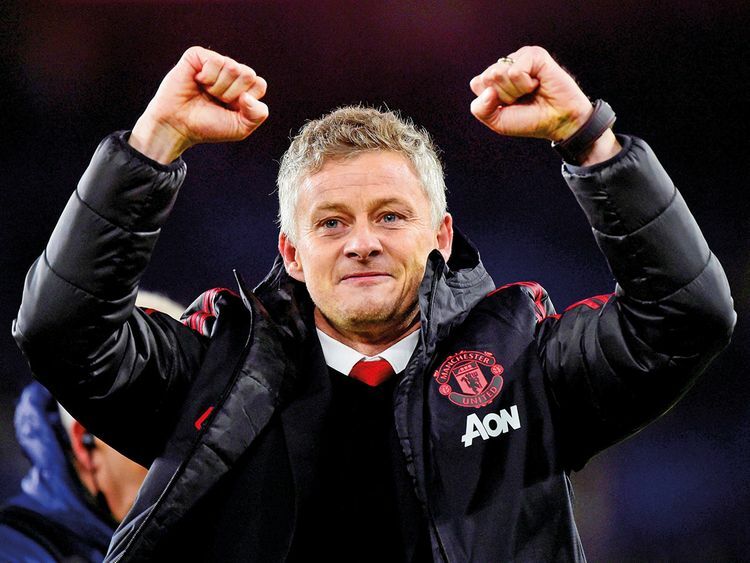 London: Manchester United’s confirmation of Ole Gunnar Solskjaer as their next permanent manager caps a remarkable rise over the past three months for the Norwegian. Solskjaer was seen as a stop-gap option when recruited as a caretaker in December, with United scrambling for a solution following the sacking of Jose Mourinho. However, a United legend as a player, Solskjaer has re-energised the English giants, leading them to the Champions League quarter-finals with an incredible victory over free-spending Paris Saint-Germain and hauling the Red Devils back into the race for a top-four finish in the Premier League. “To win games you need to pass it forward and run forward.” The basics under Solskjaer may seem simple but they contrast sharply with Mourinho’s conservative approach that left a host of expensively assembled stars paralysed by fear of making mistakes. The former striker spent more than a decade as a United player learning from Alex Ferguson and is trying to replicate the same aggressive, attacking approach ingrained in him by the Scot, who won 13 league titles in charge at Old Trafford. “It’s a winning identity, it’s a confident identity. We want to take risks. We want to go for the second, the third and the fourth goal because that’s just how we do things at Manchester United,” Solskjaer said of his vision for the club. It is also not a naive approach solely based on bombing forward. Away wins at Tottenham, Arsenal and most famously of all at PSG, exhibited United’s pace and firepower on the counter-attack. While Mourinho butted heads with and routinely dropped Paul Pogba, Solskjaer has built his side around the French World Cup winner, with stunning results. Pogba has scored nine goals and provided seven assists since the change of management. Marcus Rashford was rarely trusted with a consistent run of games as a central striker under Mourinho. The image of the Portuguese visibly demonstrating his disgust as the England international missed a one-on-one against Young Boys towards the end of Mourinho’s reign spoke volumes for their relationship. No longer fearing the consequences of a missed opportunity, Rashford has scored eight of his 12 goals this season since Solskjaer’s arrival. That new-found confidence showed as Rashford buried the penalty deep into stoppage time that capped a comeback from a 2-0 first-leg defeat to eliminate PSG with a 3-1 victory in the French capital. Solskjaer outlined his first task as putting smiles back on the players’ faces. The feel-good factor has allowed an abundantly talented squad to show their potential but has also galvanised the fans just as much as his squad. “Ole’s at the wheel” sung to the tune of Manchester band the Stone Roses’ tune “Waterfall” has reverberated around every United game home and away in recent weeks. Ferguson’s United teams became synonymous with late goals, leading stoppage time to be termed “Fergie time” during his 27-year reign in charge. Solskjaer scored the most famous of all those goals in the 1999 Champions League final to complete a historic treble and has managed to imprint the same never-say-die attitude on his own team. “It is like the old days,” he said after Romelu Lukaku’s late strike downed Southampton 3-2 earlier this month. There was also a late revival from 2-0 down to claim a point against Burnley, while Rashford’s spot-kick to seal a special night in Paris came deep into time added on.